Handout photo of a man involved in the 2010 slaying of US Border Patrol agent Brian Terry. Mexico City: Mexico's government said on Thursday it planned to extradite the man accused of pulling the trigger in the 2010 killing of a U.S. Border Patrol agent in a case tied to the U.S. government's ill-fated "Fast and Furious" gun-running sting. Heraclio Osorio-Arellanes was arrested on Wednesday on the border of the northern Mexican states of Sinaloa and Chihuahua for the shooting of Border Patrol agent Brian Terry, according to the U.S. Marshal for Arizona. 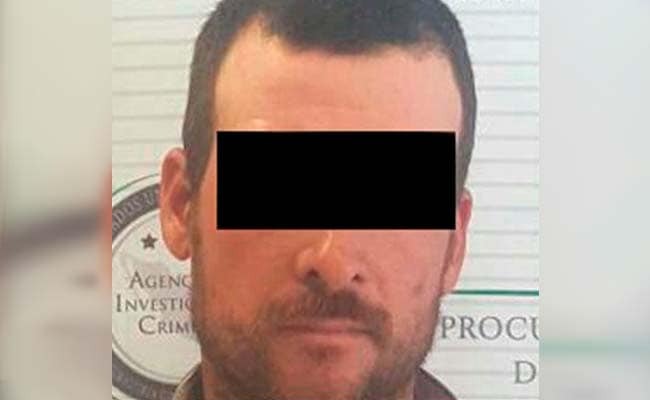 Identifying the suspect only as Heraclio "N", the Mexican attorney general's office said in a statement that following his capture by Mexican marines, steps were underway to initiate the process of his extradition to the United States. The suspect is due to be tried in the U.S. District Court for the District of Arizona for crimes including homicide, conspiracy and drug trafficking, the office added. Osorio-Arellanes is the fifth drug cartel figure sought by U.S. authorities for the killing to be apprehended. He is accused of being part of a five-man cartel "rip crew" - out to rob drug dealers along the border - who confronted Terry and three other Border Patrol agents on Dec. 14, 2010 in a shootout north of Nogales, Arizona. Terry was shot to death and one gang member was wounded in the gun battle. Two AK-47 rifles found at the scene were later traced back to the bungled gun-running investigation of the U.S. Bureau of Alcohol, Tobacco, Firearms and Explosives (ATF) that embarrassed the Obama administration and strained relations with Mexico. In that probe, the ATF aimed to trace weapons bought legally in the United States by "straw" buyers and then resold into the black market, but federal agents lost track of some weapons, many of which ended up in the hands of drug traffickers. Three other members of the rip crew involved in the lethal gunfight, and a fourth man charged with conspiracy in the case, were ultimately convicted in U.S. federal court and sent to prison. The sixth man wanted in the slaying remained at large.